When startups are trying to reach the moon whilst paying their interns €300 per month, it is clear – their business model is wrong. They are fooling you by saying “you will have a great chance to learn how to […. ], and you’ll get individual tasks and responsibilities where you can show your creativity and strategic thinking”. In reality this actually means: “You will work 40+ hours a week, replacing an employee who otherwise would have been paid at least €2000 per month”. Mum does not pay my rent, dad does not cover my food expenses. And I need a health insurance, which I cannot pay for when I only make €300 per month. Once I left a negative comment on a company’s Facebook page under an unpaid internship offer, to which they said: “If we could pay, we would; we all work for this project with a great passion and hope to find interns who will share this vision with us”. And when I said: “Can’t pay, don’t hire. You don’t work for free yourself, why should anyone else?”, they deleted the post entirely. After a similar comment on Praktikum Berlin not only they deleted my comment, but also blocked me from commenting or liking their posts. If they don’t want to hear me on Facebook, then they will have to hear me speaking out loud on the 13th of November at Supermarkt where I will be giving a DIY Masterclass presentation on this very important topic. Nicholas Wenzel from InternsGoPro will join us at the event for an open discussion. This free workshop will give a deep insight into the different aspects of internship culture across the world. We will discuss what is a useful internship and what is illegal. I will talk about the biggest internship scandals in 2013 wrapping it up with the dubious intern policies of Berlin Startups. A great collection of videos, comics, stats and info-graphics will be provided for visitors to understand the problem, and also to see possible solutions. Please share the Facebook event with anyone who might be interested: DIY MASTERCLASS: Know Your Rights! Internship Culture in Berlin. ↓ The most creative way how to leave the company which destroys your life. On this same topic a new promising German article, which I recommend to read: The Local: If the Internship is Really bad, Walk away. 14:00 Presentation from Katja Petrova on the problem with unfair internships, intern laws across the world, material and psychological aspects of unfair internships, case studies with source material from a range of articles, video and activist resources, problematic startups business models in Germany, and last but not least, solutions! Cost: The Masterclass is free, but a donation box will be present should you wish to make a contribution to the host organisations. Language: The language of presentation will be English. Registration: Please register your attendance by sending an email to rsvp@supermarkt-berlin.net with the subject heading “Intern Rights”. 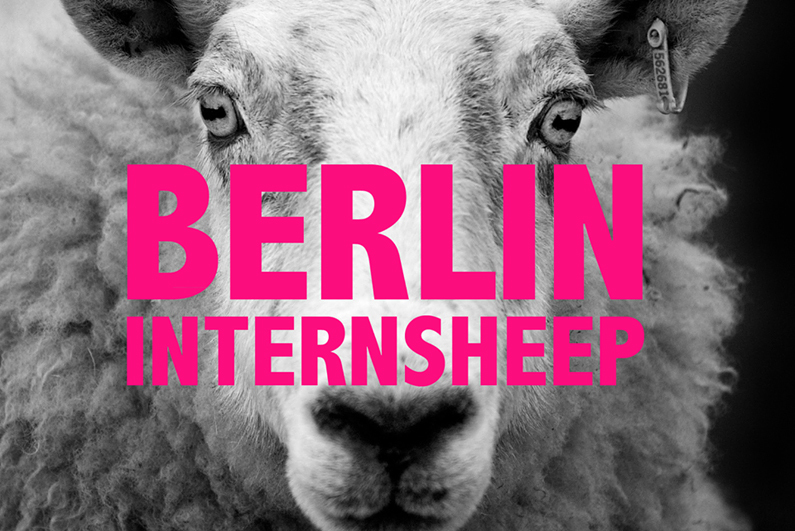 Everyone is invited to attend and participate in this Masterclass, especially activists and those who have come across this problem and/or experienced Berlin’s internship culture first-hand. I thank Supermarkt for all their help and support!